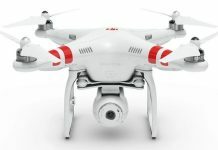 The Parrot AR.Drone 2.0 is known for being a moderately-priced quadcopter that handles well, captures video in 720p and can be controlled using your favorite mobile device. 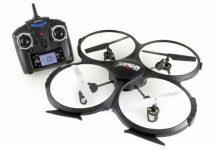 While not perfect in all aspects, this is definitely one of the copters that you want to consider for under $300. 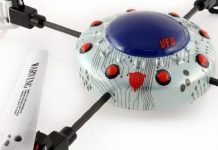 Let’s delve deeper in the Drone 2.0 and uncover what we found during our flight. We thought there would be some assembly upon unpacking the box, but we found that in less than a minute we were ready to take our first flight. We chose not to pick the mastery control settings at first to get a firm grip of the controls, and this proved to be a smart decision. Luckily, the Android operating system seems to be powering the majority of mobile devices, and we chose to use one of our tablets. After downloading the app, we were ready to go on our first flight. The motors are very powerful and come with 4 brushless motors that self-lubricate. The noise was very low and hovering was a breeze thanks to the 28,500 rpm seen. Flight was a breeze even with the wind was blowing. The 2.0 seemed to have adjusted itself and didn’t come crashing to the ground as other models have. 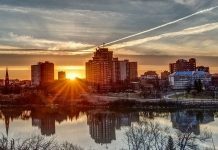 The one neat feature that we truly enjoyed was that the drone automatically adjusted speed when outside. This is done to compensate for gusts of wind and works very well. You can even switch to an indoor setting which allows for only low speeds and a maximum of 3 meters in altitude. 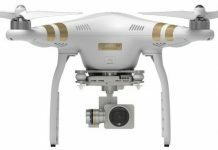 Otherwise, you can fly this drone almost out of sight when outside, which provides the perfect conditions for capturing video. Handling is also sharp with turns and stops being made quickly and easily. If you want true control, however, you will need to switch to the master setting which we will discuss shortly. Using your own device instead of a standard controller is a bit different, but it is fun especially with some of the virtual games offered. The app is great once you get used to it and is fairly intuitive to use. One of the best parts about the controls is that when idle, the copter will simply hover in place and wait for input from you. If you are a beginner, you will find that there is an emergency stop put in place. 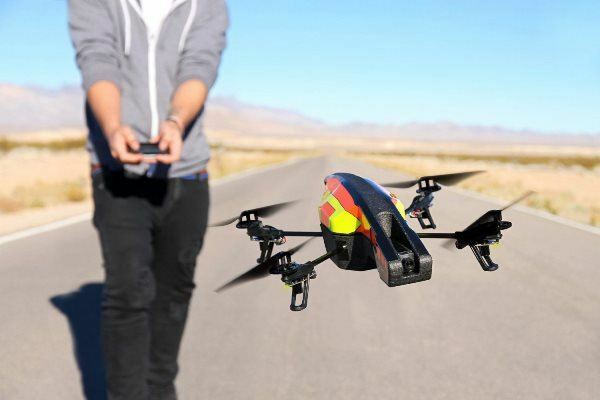 When crashed, the drone will automatically shut off so that no injuries or damage occur. Left: A left control is present which controls the elevation and direction of the drone. 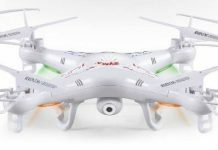 Right: The right control operates the movement of the drone from forward and back to left and right. There is some input lag seen which is a concern for some pilots, but the lag was very low during our trial flight. 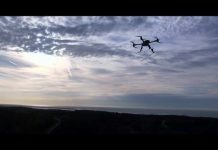 You can control this quadricopter for a range of 165 feet which is really exceptional. There is a powerful camera attached that takes clear video in 720p quality. The app will be used here as well and will be where the data is stored. No on-board video storage is available which can be a concern. We would have liked to have seen this added, but it is not a deal breaker. Just make sure you have adequate space on your device before recording. 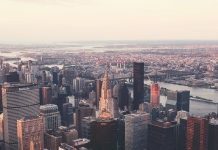 Videos and pictures can be uploaded to YouTube or other services, but the quality would be equivalent to most cell phones, so don’t expect anything amazing. The only other downfall we have to mention is that no sound is recorded due to the rotors on the quadricopter. While many models don’t record sound, it is something that we would really like to see. For best video quality, try keeping the copter at about 50 feet to ensure video is crisp and clear. Small crashes are not an issue with this copter. The exterior features an EPP hull, carbon fiber tubes and liquid repellent coating. Normal crashes are not an issue as long as you are not 100 feet in the air and expect this model to last after such a dramatic fall. Even if a bad crash does occur, you can order parts right from the manufacturer’s website to perform any repairs that you may want. You will find a lot of mixed reviews on the product. 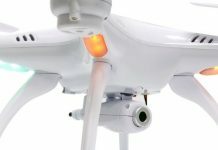 We were shocked to see some of the claims of this drone breaking during flight, but we realized these were older reviews from when the copter first was made available. Durability has seemed to increase greatly since launch as well as an easy way to buy spare parts. There was also an issue with the app being taken down from the app store which led to a lot of 1 star reviews. This has all been sorted out and now everyone seems to be elated with this model. 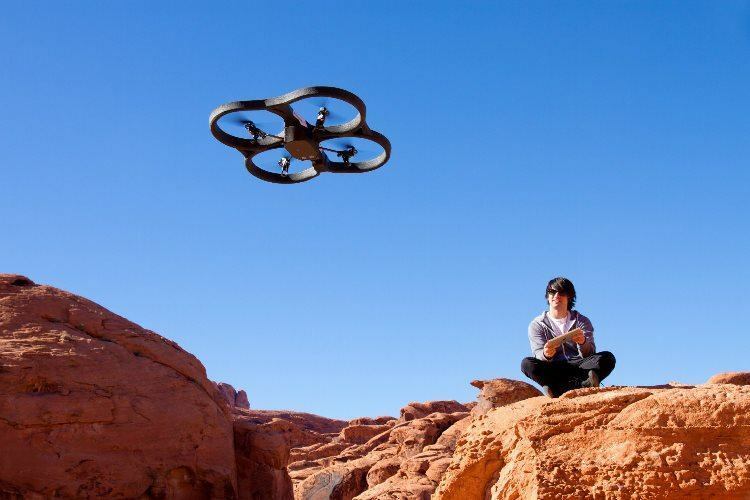 We have flown the AR.Drone 2.0 for hours without having any major complaints of our own. The battery life can last as short as 9 – 10 minutes, so we definitely recommend buying either a battery that can hold a longer charge or a battery replacement so that you can swap out batteries when one gets low. Recharging also takes about 90 minutes. 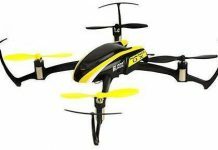 We recommend buying a 1300mAh battery to go along with this copter as flight time will be increased to 15 – 20 minutes plus charging time is reduced greatly. 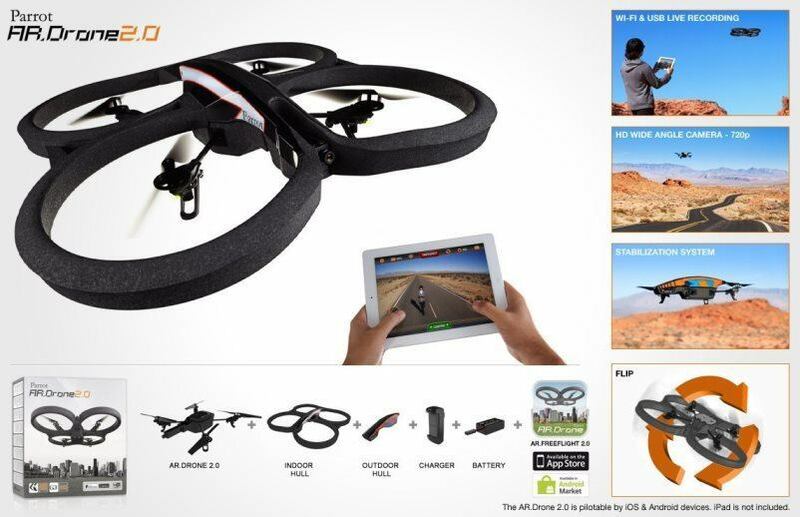 The AR.Drone 2.0 is the ideal copter for the novice and expert. The controls are smooth, the hull is durable and the agility of this model is near perfect. The few initial bugs seemed to have been corrected and our assessment was definitely a positive one.